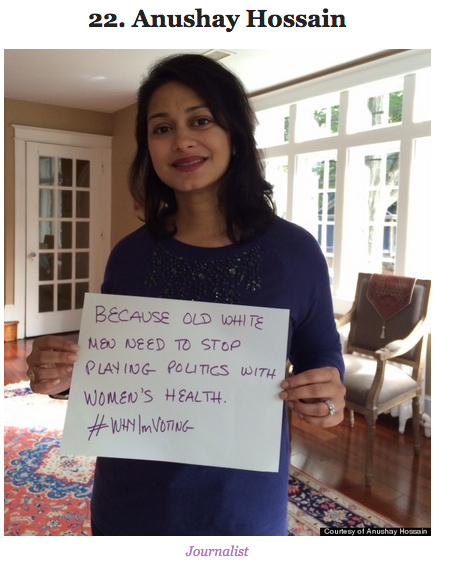 Excited to be on this HuffPost Women list about #WhyImVoting. In 2014, legislation that could significantly impact reproductive rights is on the ballot in three states, the wage gap is still going strong, and women are overwhelmingly impacted by the state of the economy (reminder: 40 percent of U.S. families now have female breadwinners). In other words, the leaders that will be elected will be making major decisions that will determine the direction women’s health and rights go in this country. Not only do we have a lot to lose, women fought hard, were imprisoned and beaten for a right too many young women take for granted today. 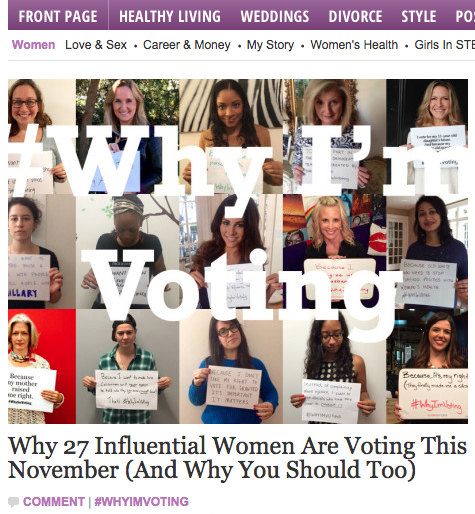 Check out the HuffPost Women piece to see why Arianna Huffington, Zerlina Maxwell, Melissa Etheridge (and yours truly) are voting next week on November 4th. Do not forget how women struggled to win the vote, do not take it for granted.